it may help to prevent losing unfair online races. Nothing new to racing online, Skroting. I even mentioned this before release as a possibility how the aggresiveness might get miscalculated. It's either bad ping between you and another driver or the net code can mess it up if it's bad. I think nfs has pretty good net code though, but this is happening in all racing games more or less. It looked like you went off at laguna seca when we raced online btw.. and I can swear that I didnt touch your car, on my screen that is..
What happened is what I call "lag collision". On your screen you're 1 car length away from another car, but on another player's screen there was contact. Every player in a race sees a slightly different version of the same race because of the lag. Nascar Racing Season 2003 has (had, the public servers are down now) best code for handling this. 42 players can get within just a few feet of each other and even bump draft if the ping is good. If a player's ping is bad, his car "wobbles" on all other players screens as a warning to keep about 1 car length away to avoid "lag collisions". If players connection drops for more than a brief moment, his car dissappears (other games just turn the cars into ghost mode and disable collision when lag is bad). Getting back to Shift 1 and 2, I don't know how close you can be to another car before "lag collisions" are an issue. I usually see this happen when braking for turns because the cars get closer to each other as speeds decrease but time separation remains the same. I've only done a few unranked races online in Shift 2, so I don't know how it is. I do recall some weirdness in Shift 1 at certain tracks. The worst track was Donnington, on the downhill section near the start of the lap, where other players cars would appear to be 50 feet or so off track in the grass on my screen, when in fact they were on track. At other tracks, it will appear that another player has gone wide on a turn on my screen, but not his. I am an owner of USB Microphone AudioTechnica 2020. But for some reason it does not work in Shift2 when I race online. Does someone know how can I fix it? What type of mics are you using? I will really appreciate your feedback. 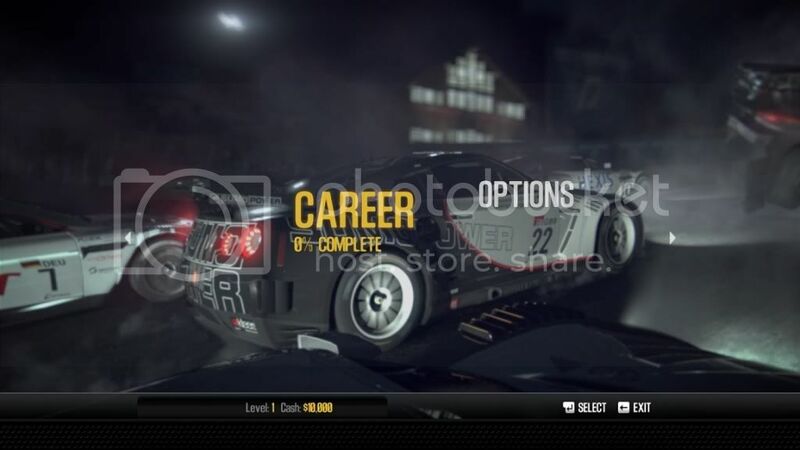 If you complete the first two or three races, aren't the rest of the menu opened up then? Rogerio do you play COD MW2, i would love to play COD with you because i play FPS games on PC and all other games on PS3. No, just play COD Black Ops... This is in fact the first COD I play. I did competition in Unreal Tournament since 2003 to 2008. Then Unreal died and I didnt play FPS until a few months ago when a friend invited me to play Black Ops! But i have played FPS before as well like F.E.A.R 1, SWAT 4, FarCry 1 on PC. WOW you guys are right, EA support didn't know that, they kept on telling me I didn't have administrator rights.. But after the first race I could see everything but autolog and then after the second race I could see autolog.. I figure out a way to re-rout the user folder on the c:\drive to my D: drive so I won't lose anything in case my PC crashes again. So should I install that patch that everyone is talking about or is there another patch coming out? ?